Bingjie Zheng is a Ph.D. dissertator in second language acquisition. Her research interests include interactional sociolinguistics, classroom discourse analysis, and bilingualism. She is interested in exploring students' communicative repertoires by using various linguistic and semiotic resources for meaning-making and negotiation. 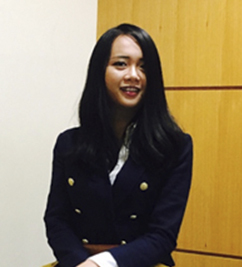 She joined the WIDA Research and Development team in Fall, 2016. She has been working for developing language pathways and other instructional tools to facilitate English language learning in K-12 settings. Bingjie has presented research projects in national and international conferences, including the annual conferences of American Association of Applied Linguistics, International TESOL convention, International Society of Language Studies and WIDA conference. Her research work appears in the International Journal of Bilingual Education and Bilingualism, and Working Papers of Educational Linguistics.